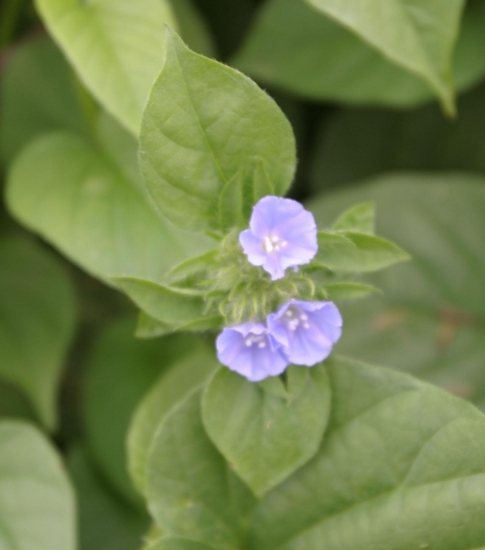 A trailing or climbing summer annual with light blue flowers that may reach 6 1/2 feet in length. Smallflower morningglory is an isolated weed of agronomic crops, nurseries, and landscapes in the southeastern United States. Cotyledons are rounded with slight indentations and resemble those of a mustard. 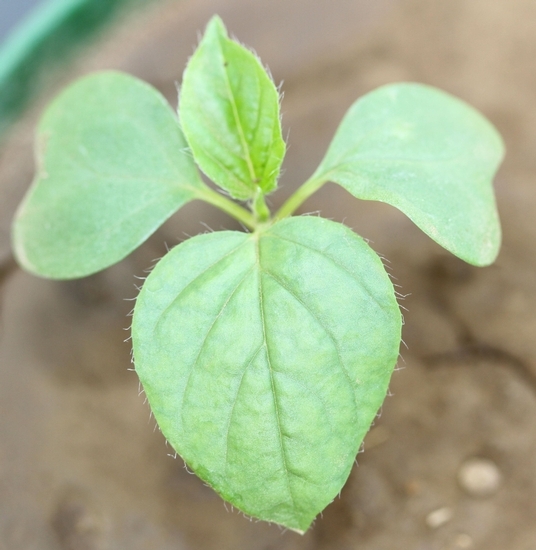 Cotyledons are without hairs. Occur on petioles that are alternately arranged along the stem. Leaves are approximately 1 1/4 to 4 1/2 inches long by 3/4 to 3 inches wide. Hairs occur on the margins and only occasionally on the leaf surfaces. Leaves are ovate to elliptic in outline. 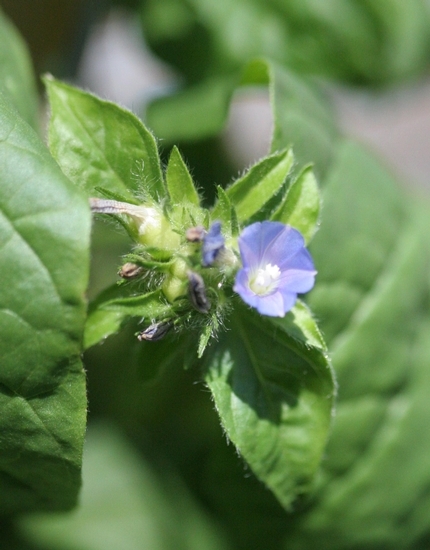 Many light blue flowers occur in clusters with many bracts below. Individual flowers are approximately 1/2 to 3/4 inch in width. 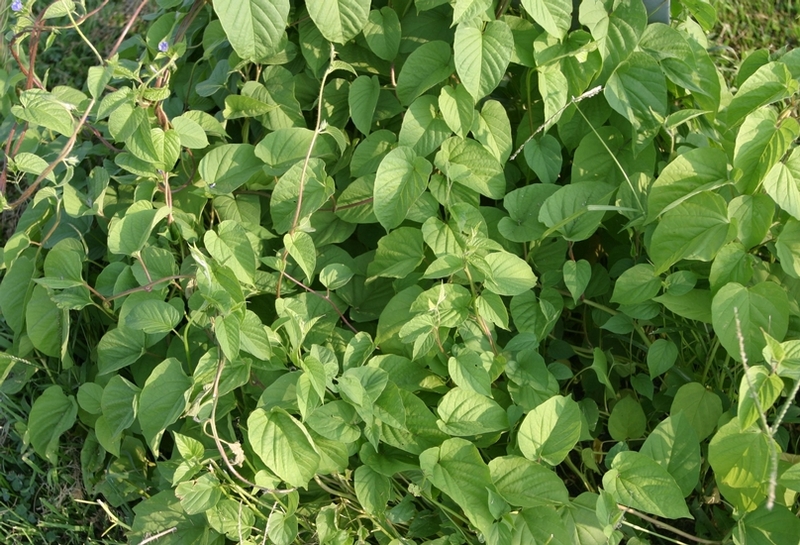 A trailing or climbing vine with ovate to elliptic leaves and many light blue flowers. 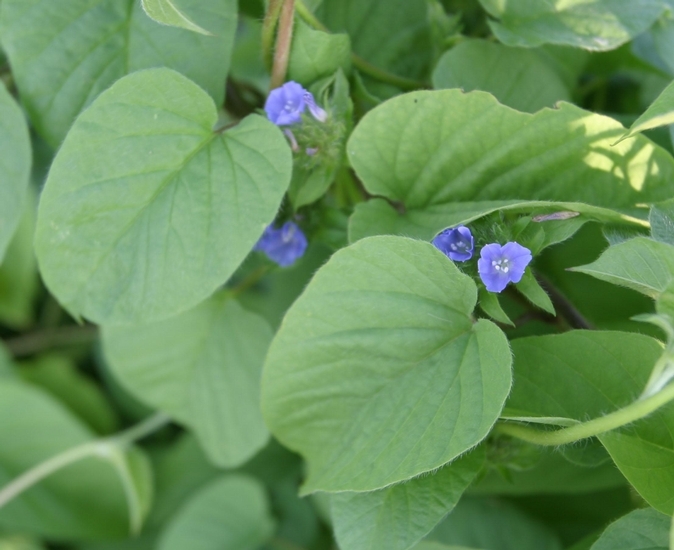 These characteristics help to distinguish smallflower morningglory from most other weeds as well as other morningglories.